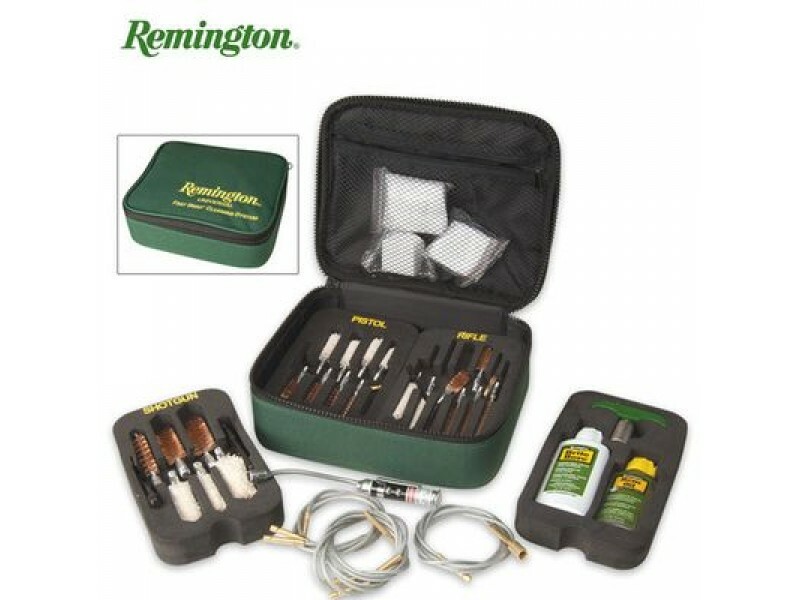 This Remington Universal Gun Cleaning Kit has all you need to clean any firearm, from a .22 pistol or revolver to a 12 gauge shotgun! 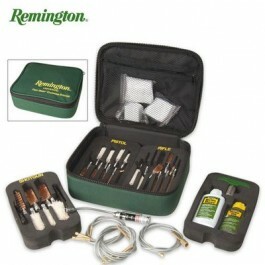 It contains 38 pieces plus 75 patches, a flex rod system and patented T-handle for quick adaptability. Includes cleaner, lubricant and Bore light with batteries.